Once your divorce decree is established, the terms become binding and are usually set in stone unless there has been a substantial change in circumstances. If your divorce decree prohibits your ex-spouse from living with her boyfriend while she has custody of the kids, or her alimony award will be terminated if she moves in with him, these would be sufficient grounds for petitioning the court to make changes to your decree. If you have children, your divorce decree addresses the custodial relationship. Although state laws vary, custody usually falls into two categories, physical and legal custody, although the names are sometimes different. The parent with physical custody provides a home for the child, whereas the parent with legal custody makes important decisions concerning the child's upbringing, such as schooling and religion. Either form of custody may be held by one or both parents, although it is common for one parent to have physical custody and both parents to share legal custody. Whether a parent's cohabitation will affect a custody arrangement depends on several factors. If the divorce decree includes a morality clause, also known as a paramour clause or cohabitation clause, the custody order can be affected. Such clauses prohibit a parent from having an intimate partner who is not a spouse stay overnight in the home while the child is also present. Thus, if a parent with physical custody of her child subsequently moves in with her boyfriend, the other parent could challenge custody based on the morality clause if he is unhappy with that arrangement. Even if a morality clause is not present in the decree, the other parent could still challenge custody by arguing the arrangement is not in the child's best interests because the boyfriend, for example, abuses drugs or alcohol or has been convicted of a sexual offense. 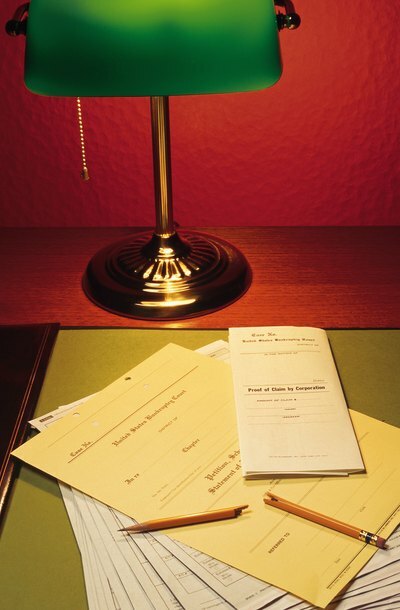 Another area of the divorce decree that may be affected by cohabitation is alimony. If state law or terms of the divorce decree permit alimony to be decreased, suspended or terminated if a former spouse cohabits with another person, the paying ex-spouse can petition the court to modify alimony once this happens. Typically, the former spouse must move in with a romantic partner, rather than just a roommate, and live together for a certain period of time for the cohabitation to be actionable. For example, in Maryland, the cohabitation would have to last for at least 30 days; in Massachusetts, it's at least three months. If a former spouse wants to change either custody or alimony terms based on an ex-spouse's cohabitation, he must request the change by petitioning the court for modification of the divorce decree. Typically, demonstrating a substantial change in circumstances since the decree was established is all that is necessary, and the court will likely consider cohabitation as a substantial change, depending on the circumstances. Boston Globe: New Mass. Alimony Law a 'Model' - But is it Working?